Gimphoto 1.4.3 Portable Application only for Windows. This portable application using X-Launcher to run locally from USB flash disk, X-Launcher developer create X-GIMP 2.4 based on X-Launcher to run GIMP 2.4 as portable application. 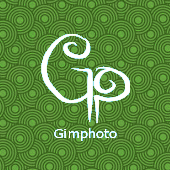 Gimphoto Portable Application is using modified X-GIMP 2.4 launcher. With this portable version, now Gimphoto can be installed or run side by side with GIMP 2.4 or even with the latest GIMP 2.6. This packages already tested under Windows 2000 and Windows XP, i hope this programs also usable under Windows Vista or Windows 7. - It will produce folder "GIMPortable"
- It will copy many files to folder "GIMPortable"
- If you prefer other name then you can rename folder "GIMPortable"